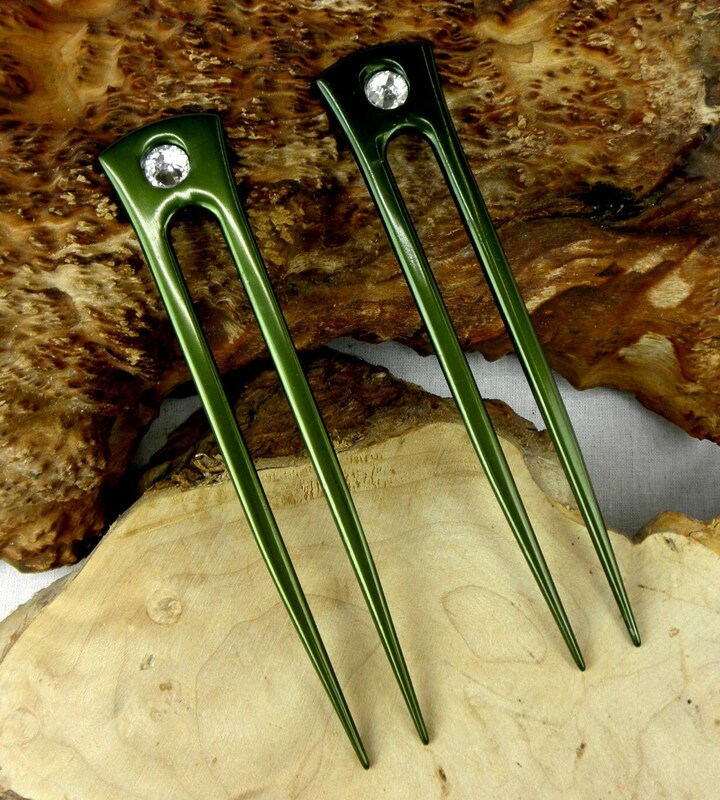 This sale is for TWO Green Colored Anodized Aluminum 6 inch hair Fork Each has a Rhinestone added to them to add a little sparkle. 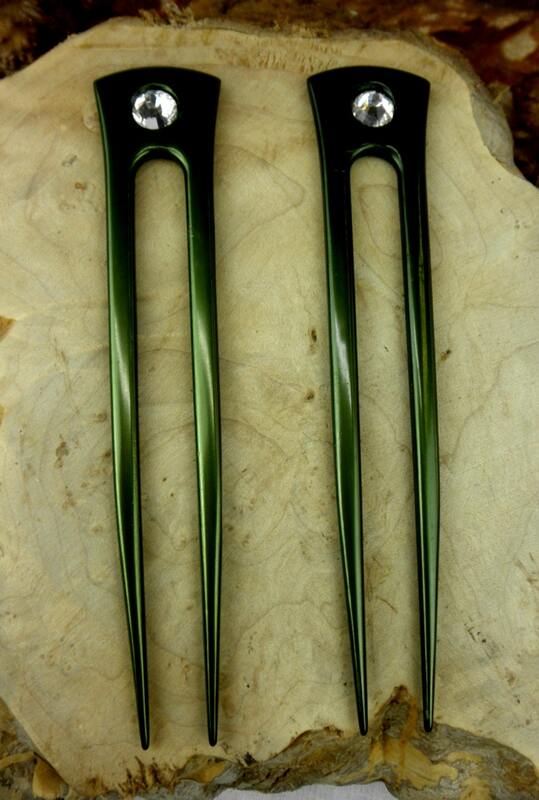 They are 6 inches long and a little over 1 inch wide and just under 10mm or 3/16 of an inch thick. 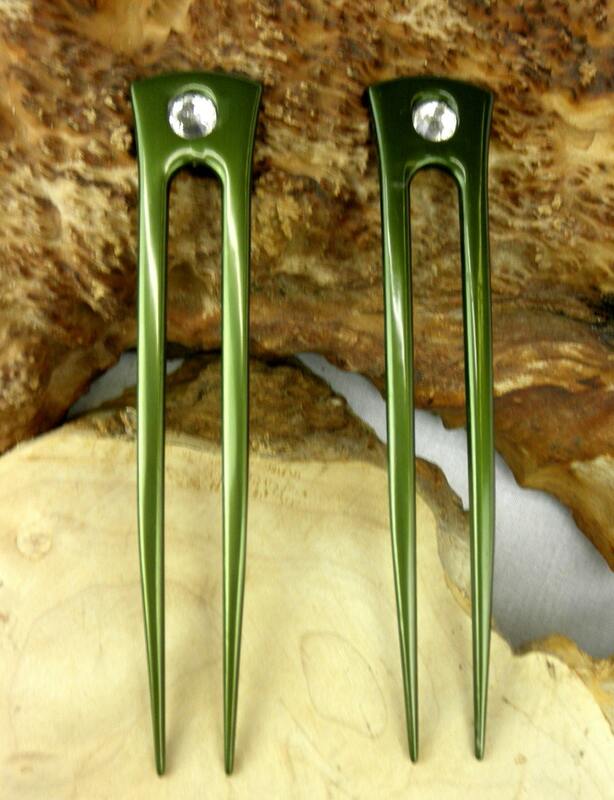 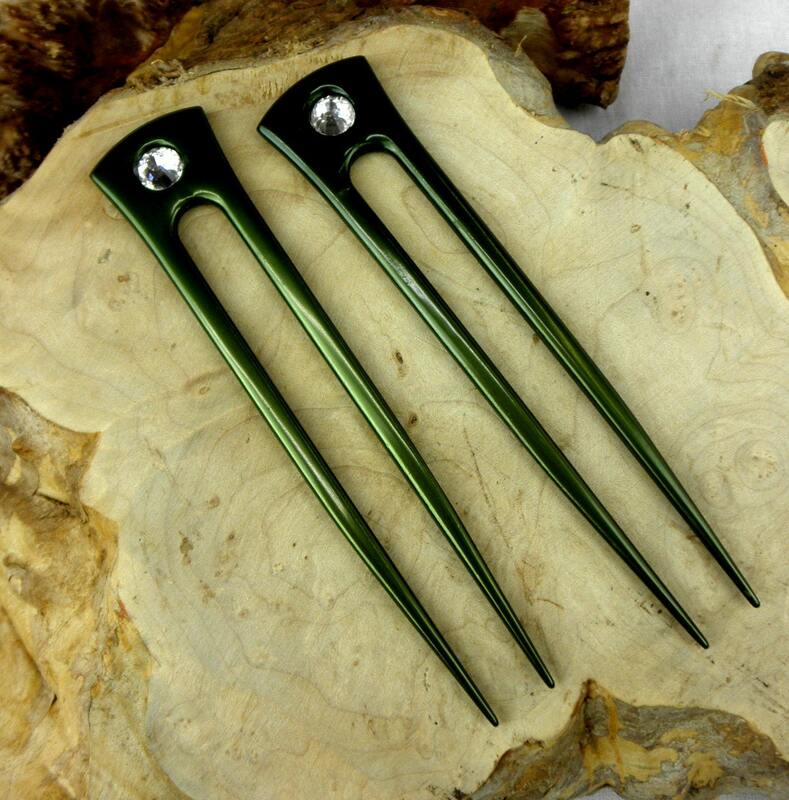 You get TWO Green Colored Anodized Aluminum Six Inch Hair Fork in this sale ! 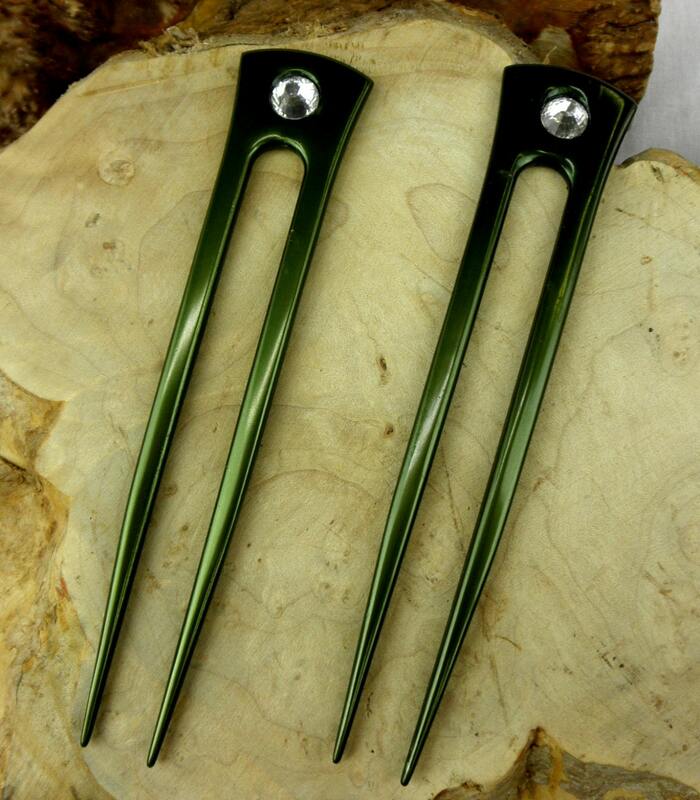 Love them, whish that you would consider international shipping!